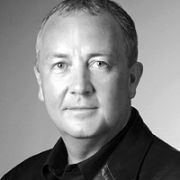 As Chief Creative Officer of Leo Burnett Worldwide, Mark Tutssel serves as the creative leader of the Leo Burnett brand, overseeing the work created by the network's 94 offices, with a focus on improving the product and seeking out new consumer contact opportunities. He is also dedicated to nurturing the existing creative talent within the Leo Burnett network and attracting the very best in the advertising industry to the brand, making Burnett a destination agency for creative talent around the world. Before taking on this role in May 2006, Mark had served as Deputy Chief Creative Officer of Leo Burnett Worldwide since January 2005. In 2002, Mark joined Leo Burnett USA as Vice Chairman/Deputy Chief Creative Officer with a brief to raise the creative profile of the flagship agency. Since then, he has overseen creative for clients including Samsung, Kellogg, General Motors, McDonald's, Nintendo, Beck's and Procter & Gamble. In 2004, the agency ranked No. 17 among the Gunn Report's "Most Awarded Agencies in the World." Prior to joining Leo Burnett USA, Mark served as Executive Creative Director at Leo Burnett London. Under his creative leadership, the London agency experienced unprecedented success, becoming the No. 1 creative agency in the United Kingdom and "The most awarded agency in the world in 2001." Mark also lends his creative expertise to the global advertising community. He has served as Chairman of the 2000 Eurobest Awards, the 2003 International YoungGuns Awards, the 2005 International Addy Awards and the 2005 Clio Awards Television Jury. He has also served as a jury member at Cannes, One Show and D&AD. In 2006, he has chaired the International ANDY Awards and the International Addy Awards. Mark is one of the world's most awarded creative directors, and his work has garnered every major creative award in the industry, including the prestigious Cannes Grand Prix and 24 Cannes Lions. Mark is obsessed with creative excellence and the continuous improvement of our product. In a world that's experiencing a media explosion, plotting the course to the future is now more critical than ever. His focus is on big ideas that engage and entertain consumers while effectively building brands.